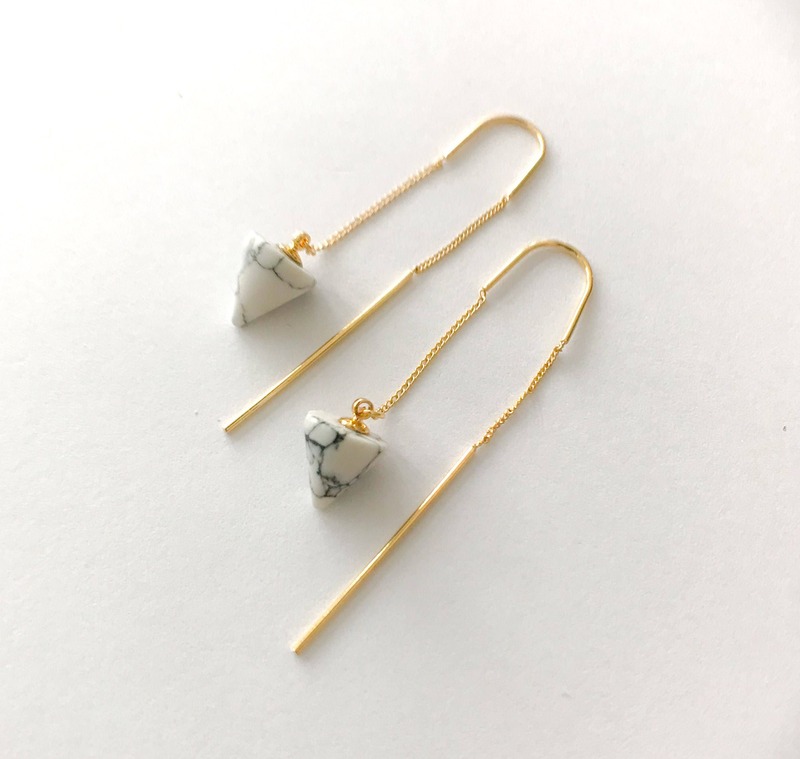 These minimalist earrings will compliment any outfit. 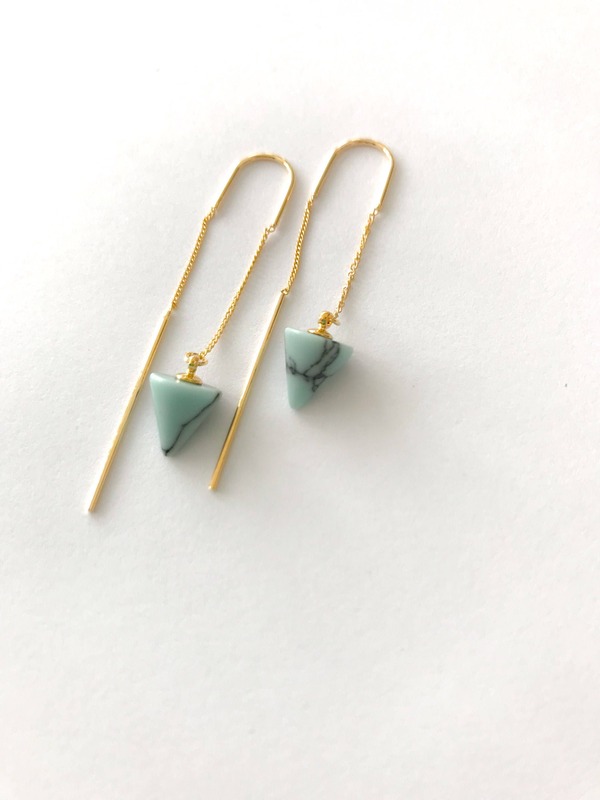 A threader earring with your choice of a White or Turquoise Horn Spike Pendant. Thread the earring post and chain through your ear lobe and adjust for the perfect length. ►White or Turquoise Horn Spike Pendant capped in gold. 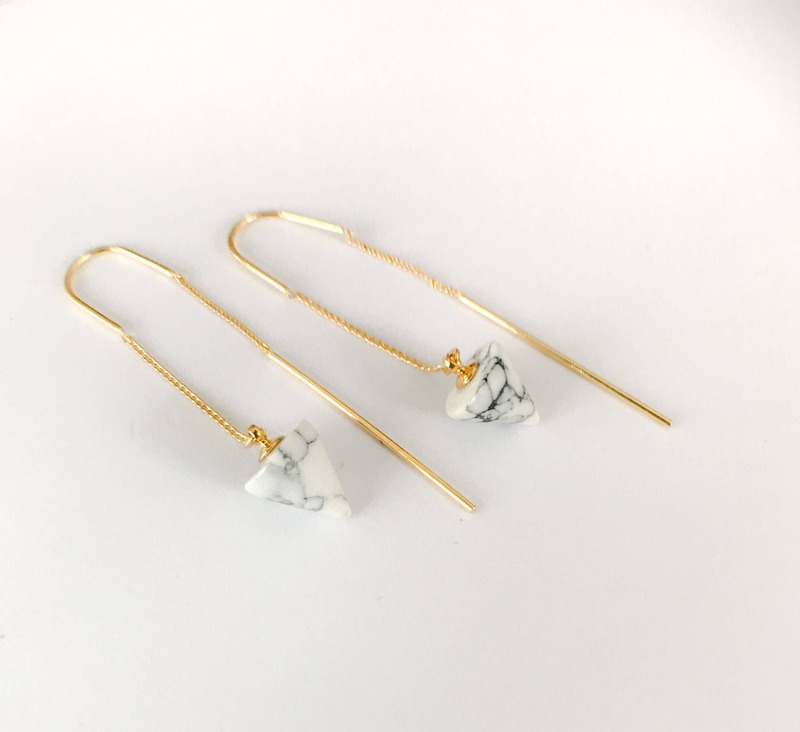 These spike mimic marble with veining.